Treehouses are a staple of childhood. They are the one place kids can go to get away from the adults and just be kids. Many a night are spent up in the wooden treehouse, often built by someone’s dad, and there unforgettable memories are made. There’s nothing quite like reminiscing on the days of hanging out all summer long up in your neighborhood treehouse. There comes a time in everyone’s life, however, where they must say goodbye to their beloved treehouse and grow up. It can be a tough thing to do, but it’s necessary. 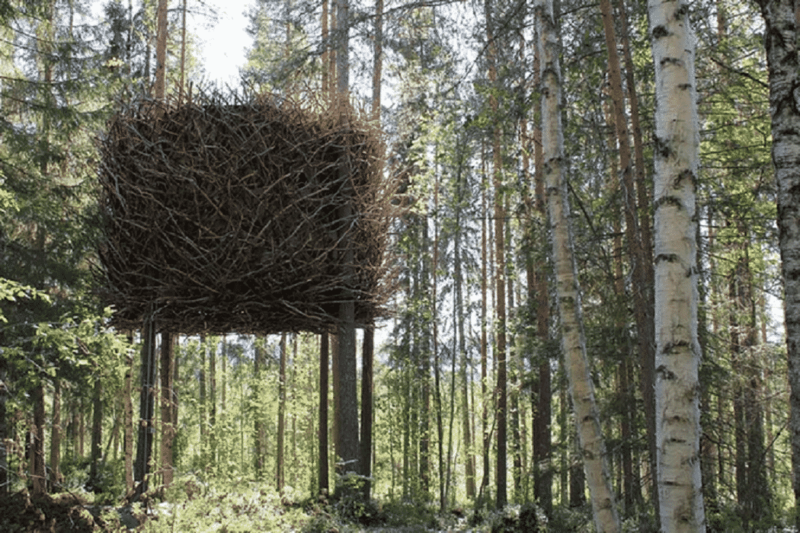 Recently, though, there have been some really talented architects that have decided to design treehouses that are ideal for adults. 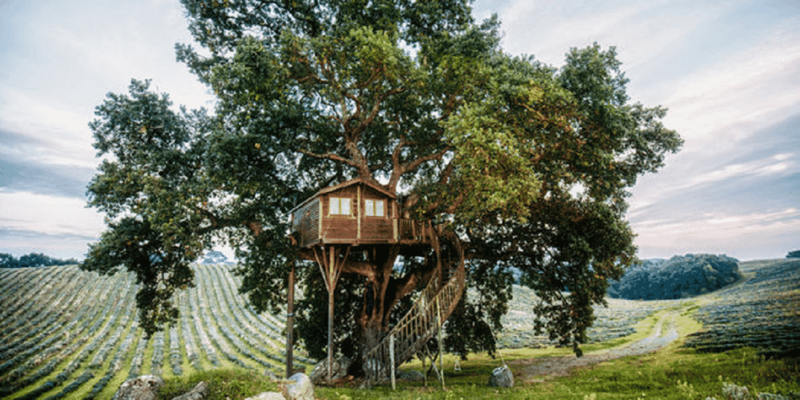 The following are 25 of those treehouses that have a modern, mature vibe, but will still make you feel like a kid at heart. There’s not much to do here other than sleep and watch the world go by, but if that’s what you’re into then it’ll be perfect for you. The outside is made completely of reflective surfaces, so you’ll truly be one with nature. But if you’re not into the ultra modern look, there’s something for everyone as you will see. A magical oasis in the dense forest. 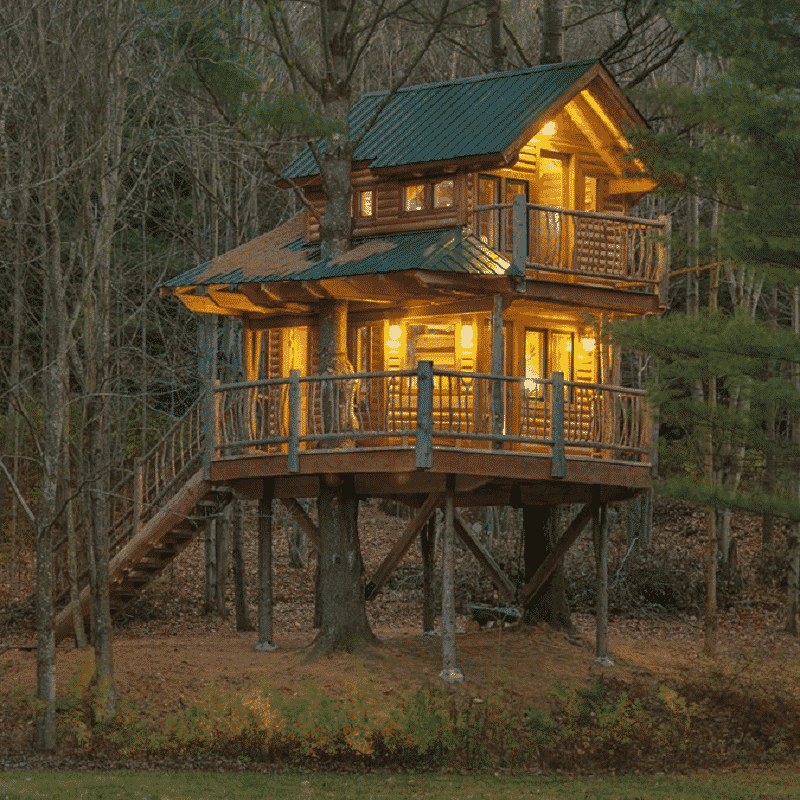 The fairy lights and classic wooden materials give this treehouse a warm, cozy feeling. This is truly a hidden gem much like the next on the list. 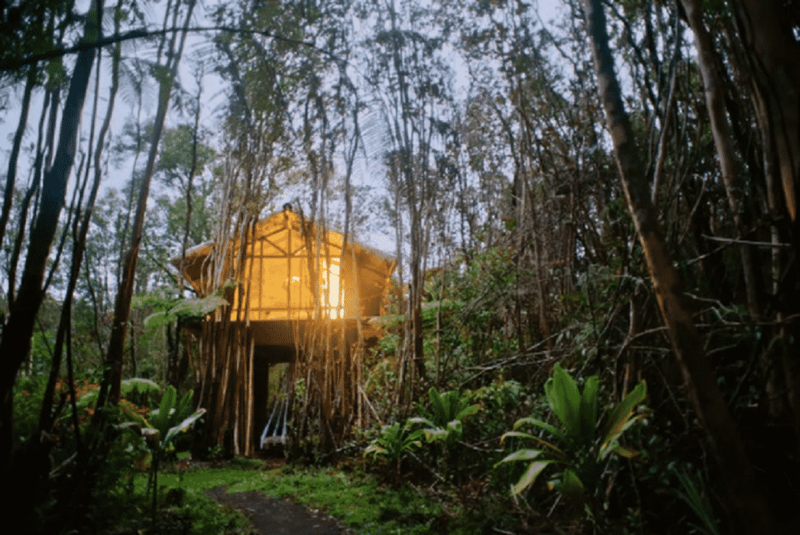 This is a treehouse you can actually rent out on vacation in Hawaii. It’s the perfect way to enjoy island life in all of it’s glory. Much like some of the other upcoming treehouses, this one has some height to is, so it will keep you safe from any roaming tropical kritters of the forest you’re not familiar with. This honestly looks like something out of a movie set. 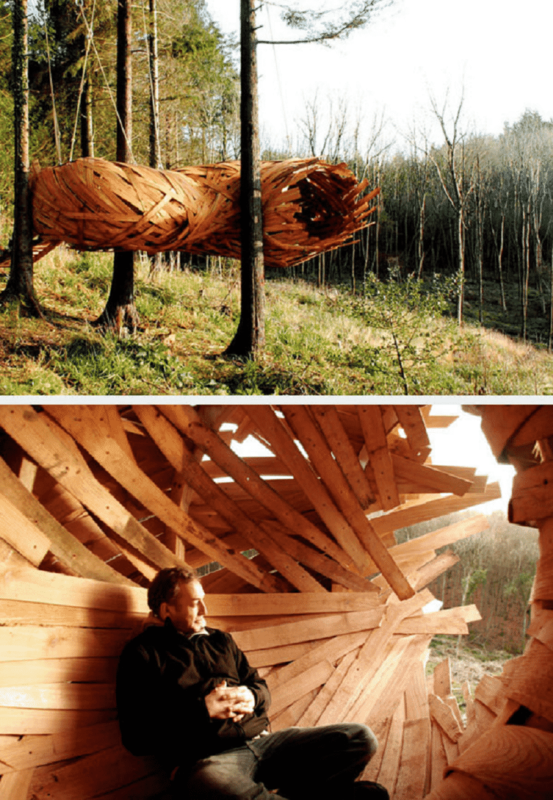 The off-kilter shelters are perfectly complimented by a spiral staircase that will lead you to new heights. This treehouse is definitely a little more on the free-spirited and whimsical side and we have more of that to come! 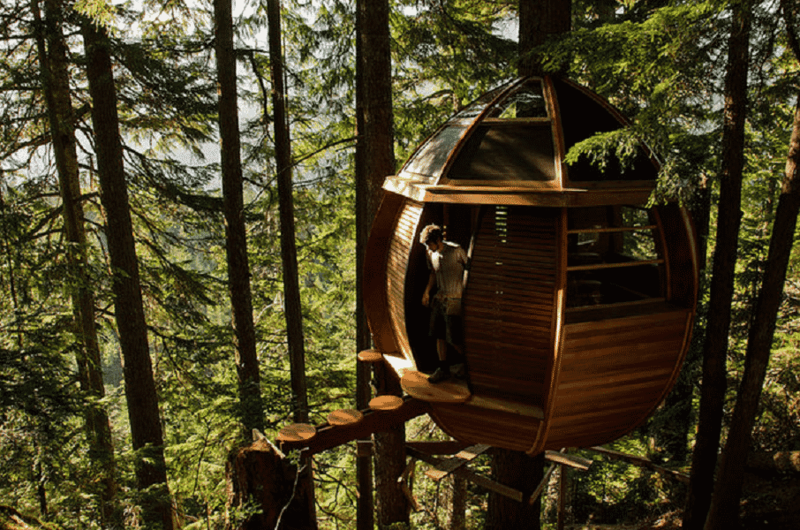 Although it’s not a fully-functioning treehouse, this little enclosure is the perfect place to take a quick rest while hiking in the woods or maybe you’d like to watch a romantic sunset with a glass of wine in hand. If you’re into the latter more romantic option, you might consider a treehouse in Italy overlooking one of the most breathtaking views! This treehouse was made by some grandparents for their grandchildren. It marries gothic architecture with children’s play toys in perfect unity. Now that’s what I’m talking about! I would sooner stay home on a stay-cation than go anywhere else if my home looked like this. You can definitely picture an evil witch from a classic fairytale living in this getaway. It looks like something straight out of a story book. But maybe you need a few more stories added to your treehouse to make it more of a livable space for you and your family. Consider this next tree house option instead! Overlook the beautiful Loch Goil in this Scottish treehouse which is perfect for a retreat after a long day out on the water. Imagine nestling up after a long day and hearing the water lapping the shores while the wind wrestles the leaves in the tree. While this would truly be a serene and tranquil experience, some still opt for the more traditional treehouse buried in the depths of the forest like this upcoming fortress. 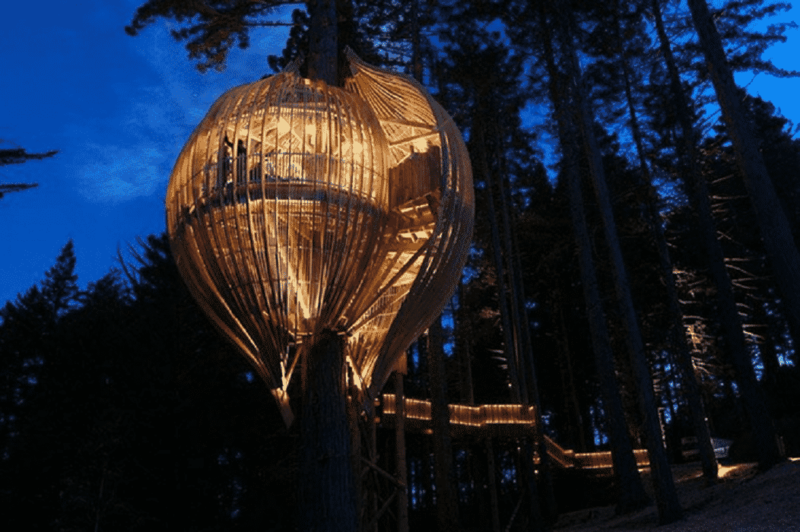 With a name like the Bird’s Nest, this giant treehouse is very authentic and although it looks exactly like what it’s title insinuates, don’t be fooled! This treehouse is relatively modern on the inside. But still, don’t be too surprised if you wake up to some friends pecking at you in the morning. Still not your style? 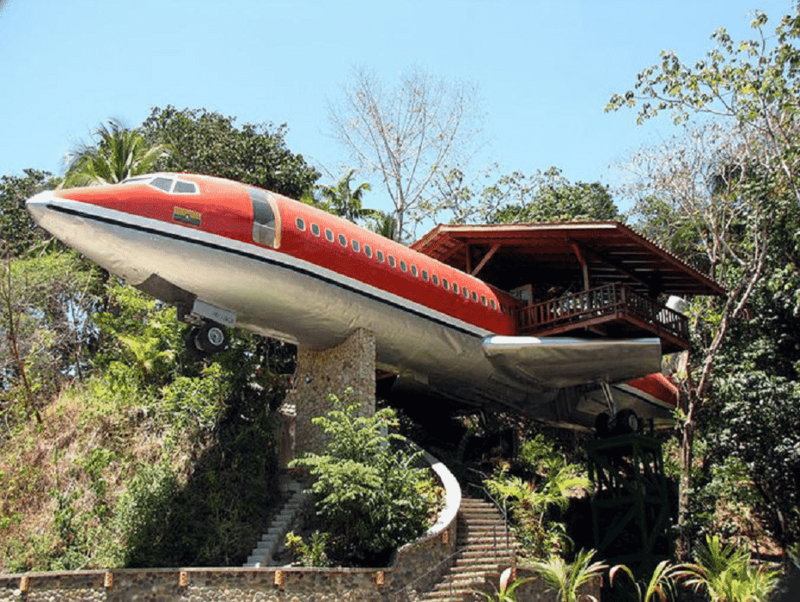 This one may not be for everyone, so let’s grant our imaginations to fly a little higher with these larger than life treehouses. 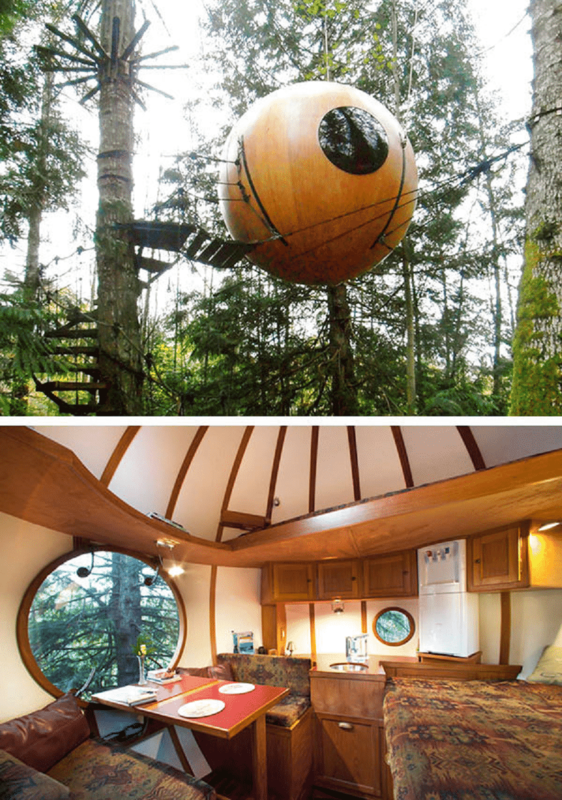 If being on a plane isn’t your style, consider being beamed up into this extraterrestrial inspired treehouse! This treehouse looks like it’s straight out of the set for one of the X-Files episodes. If you have a fascination with extraterrestrials, this one is for you! 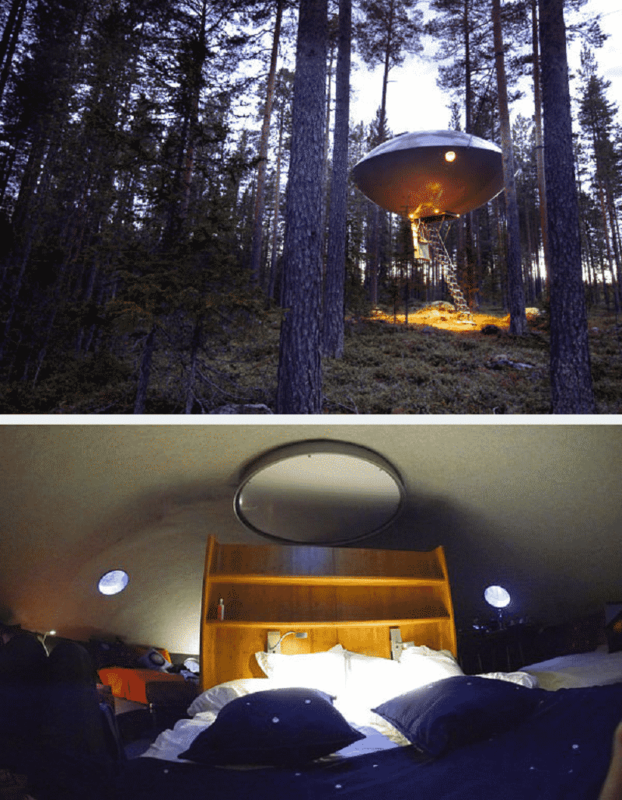 Blast off into the night in this UFO-shaped contraption that may or may not take you to meet some alien friends during the night. Maybe Scully and Mulder will join you. 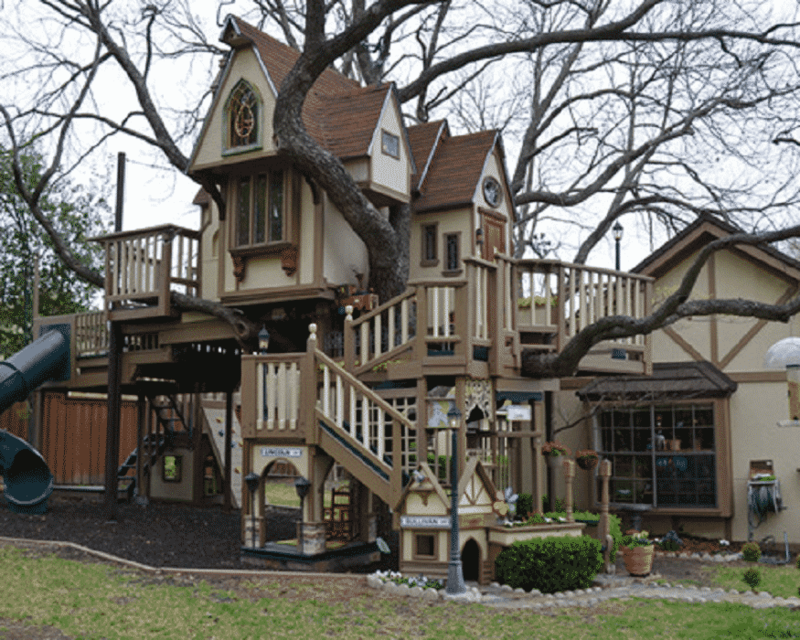 Now this is a treehouse you’ll be dying to show your parents. 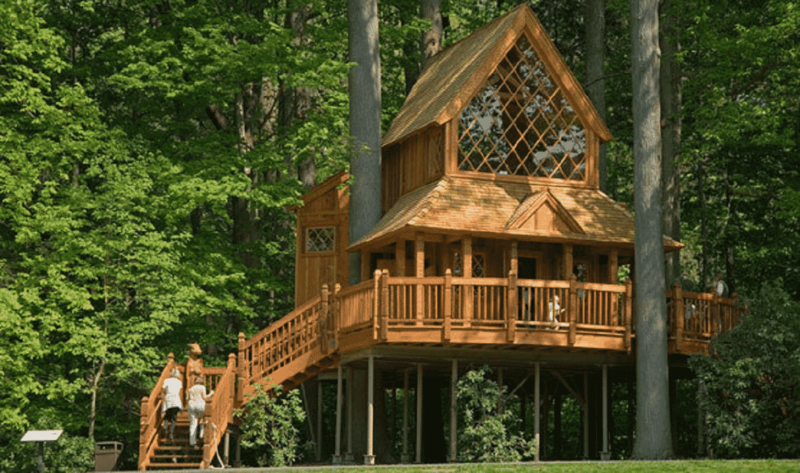 This tree house nestled in Longwood Gardens, Pennsylvania looks like a fully-functioning house that you’ll want to spend the rest of your life in. I know I would! When can I have the keys please? Or maybe you would prefer to visit Moose Meadow Lodge in Vermont. This is a very classic and sophisticated treehouse in the Vermont forest. You can even have breakfast delivered to you here, so there’s really no reason to ever leave! 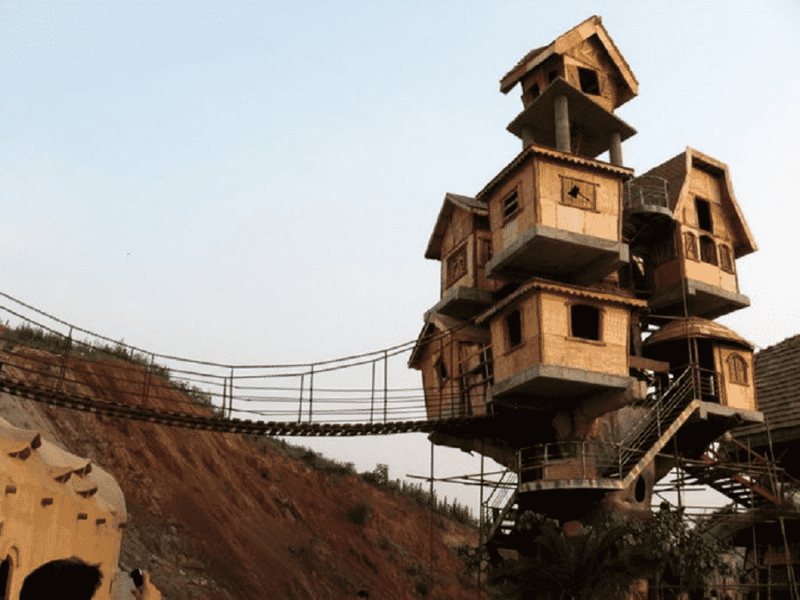 This is one of the largest treehouses in the world and consists of multiple small houses. It is home to a group of farmers who are living out their childhood fantasy’s here. Could you imagine living out your childhood fantasy’s as these farmers are doing? 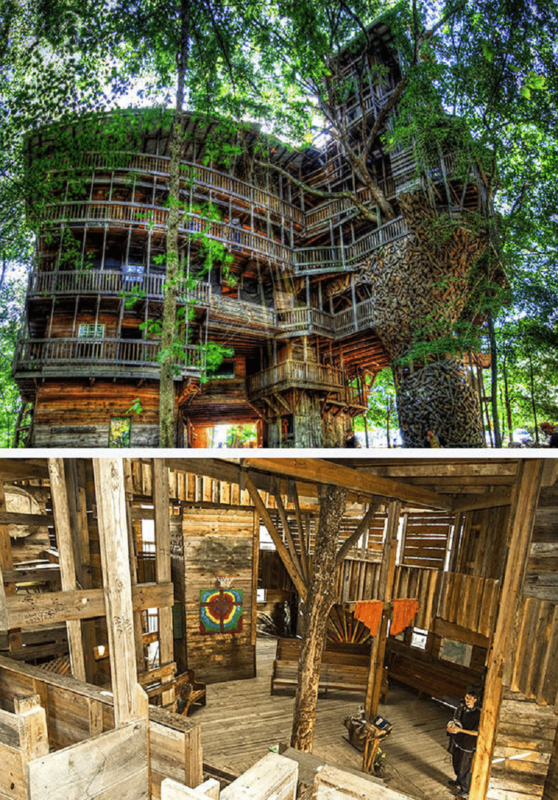 What if I told you that there are treehouse neighborhoods that actually exist?? This is just one of many treehouses located at Treehouse Point. 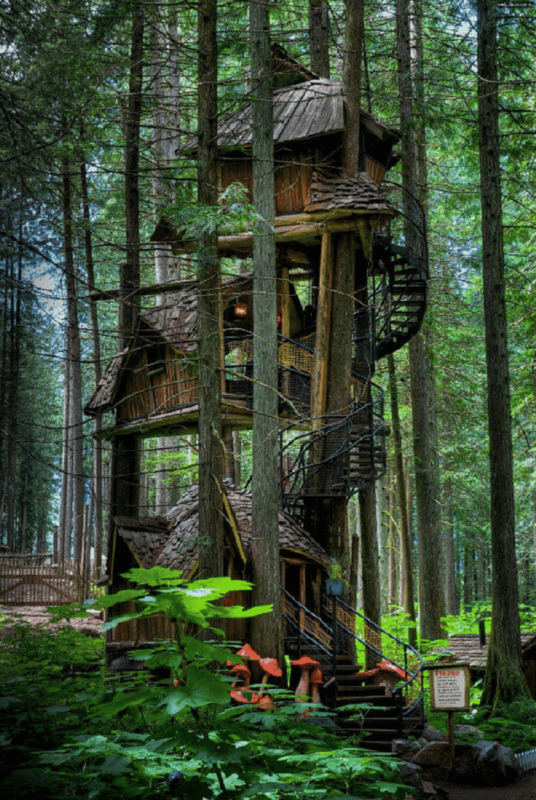 All of the tree houses are different and you can stay in any one you wish. Why not give them all a try? You see, this is a real thing. It’s a movement where more and more people are taking to the woods to live the way they dream to. 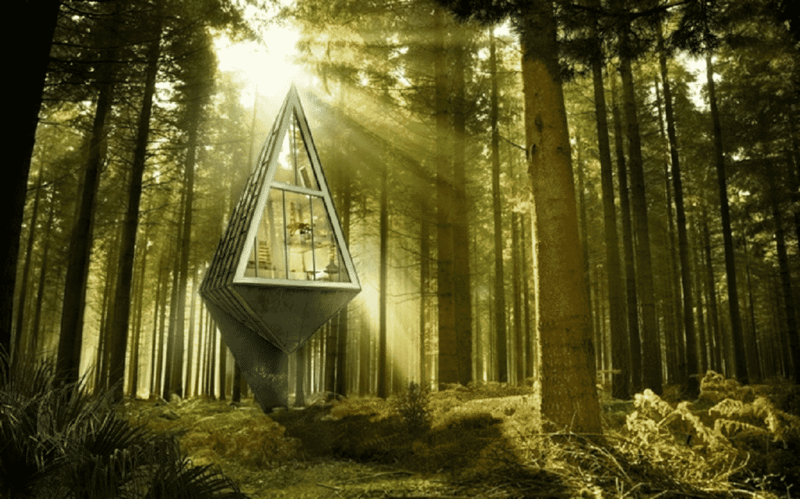 Like Joe Allen, a software developer who gave up city life for a tiny pod home among the trees! 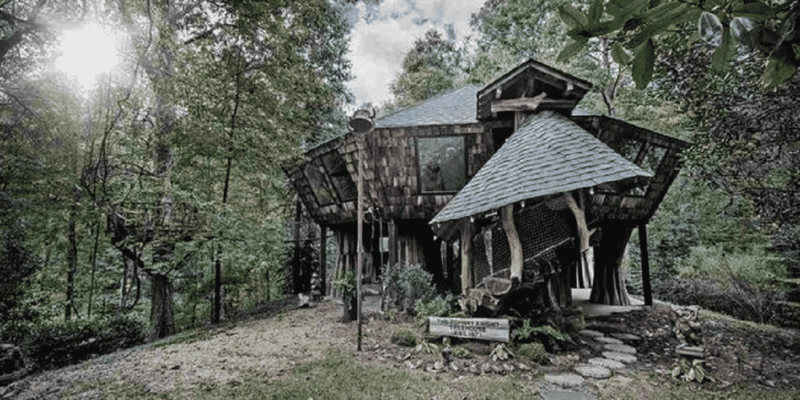 A successful software developer, Joe Allen, decided to retire at 26 and took up carpentry in order to fulfill her childhood dream of simply making something “cool.” And cool is exactly what this treehouse is. Although, this is a very romantic idea, you might have to consider purging some of your belongings in order to fit your life into a pod of this size. 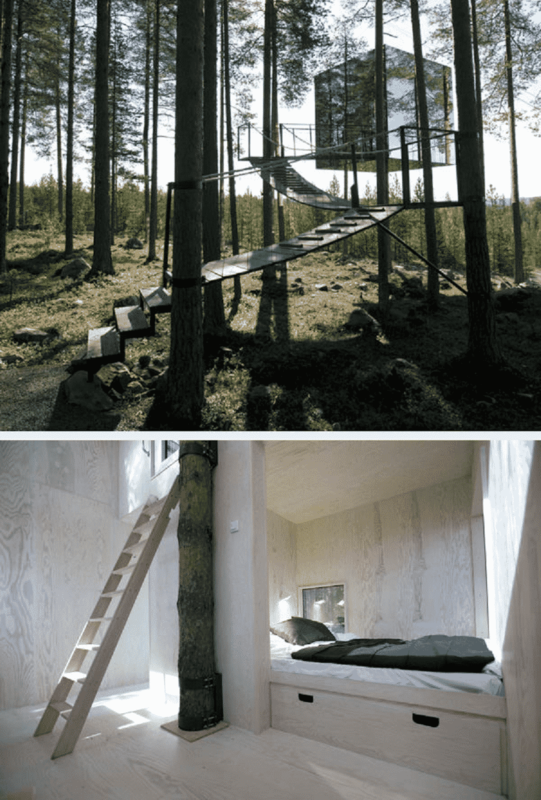 I could certainly live out the rest of my days here and feel safely tucked away in one of these treehouses. How about you? But wait there are still more! What a futuristic post-apocalypse treehouse might look like on the next page! 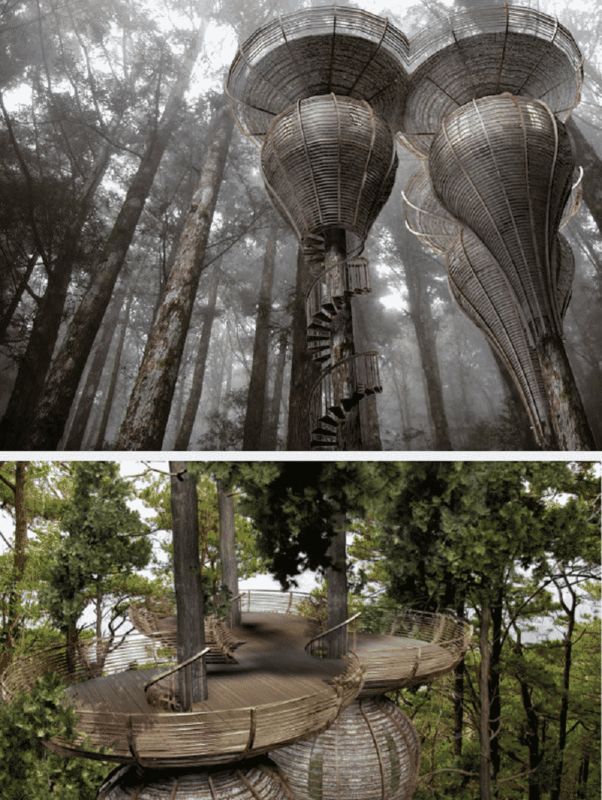 Though this treehouse is only in its design stage, it already looks like something we’re going to need to see in person. 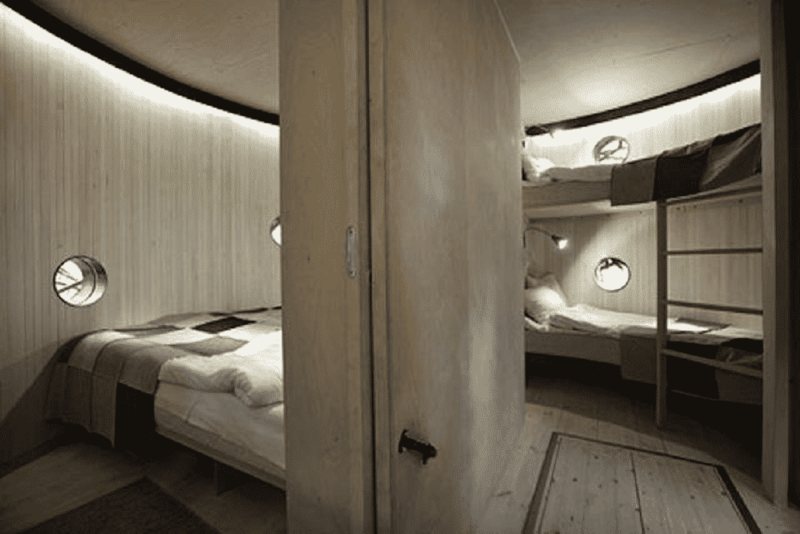 The futuristic pods make it look like something out of a post-apocalyptic movie! Check out those rooftop platforms. Perfect for keeping watch for inbound zombies! My apologies, we’re supposed to be talking about pleasant treehouses and tranquil surroundings. So, let’s switch gears back to those! Now this is a little more pleasant wouldn’t you say? 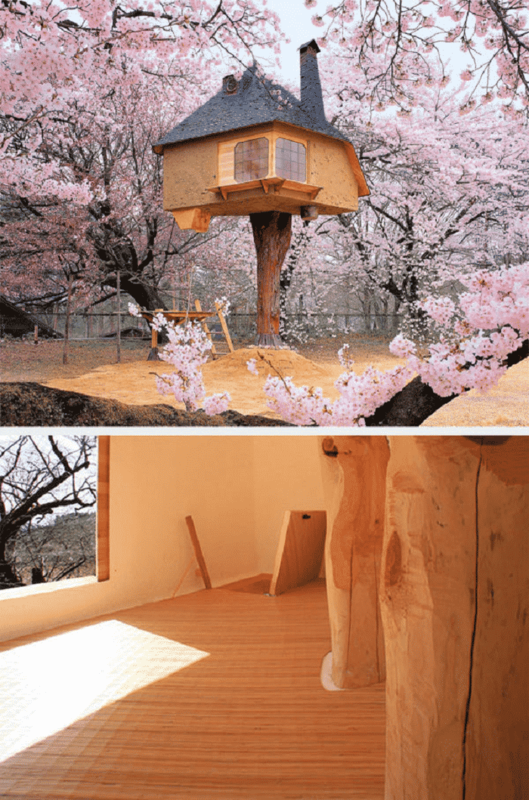 This treehouse is located in Japan right in the center of an orchard. When the seasons change the trees go into full bloom and your view becomes blanketed with breathtaking pink cherry blossoms. What better way to enjoy a cup of tea than in this tranquil and beautiful location? Travelling to Japan might be a little out of range if you’re looking to take a shorter vacation. If you’re interested in travelling somewhere in the US, consider checking out some canopy tours in Texas! 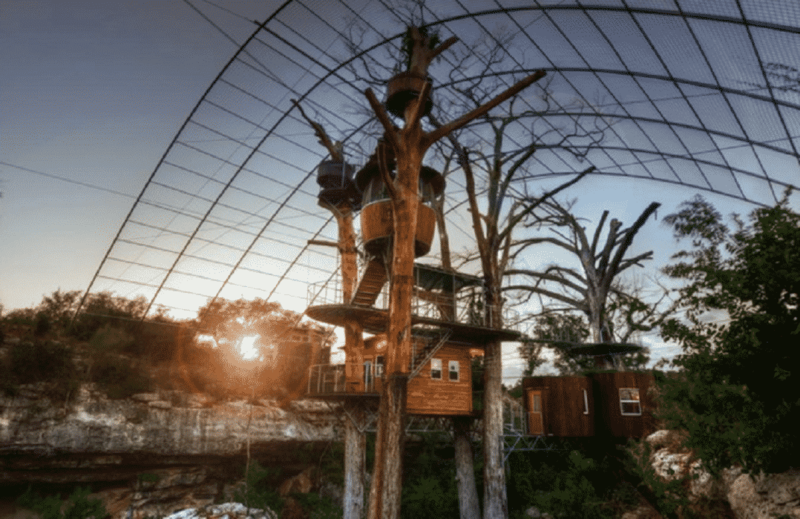 Cypress Valley Canopy Tours out of Texas is home to a variety of treehouses all for your vacation needs. You can spend your time relaxing and unwinding here, or if you’re feeling adventurous you can go for a ride on their zip line. 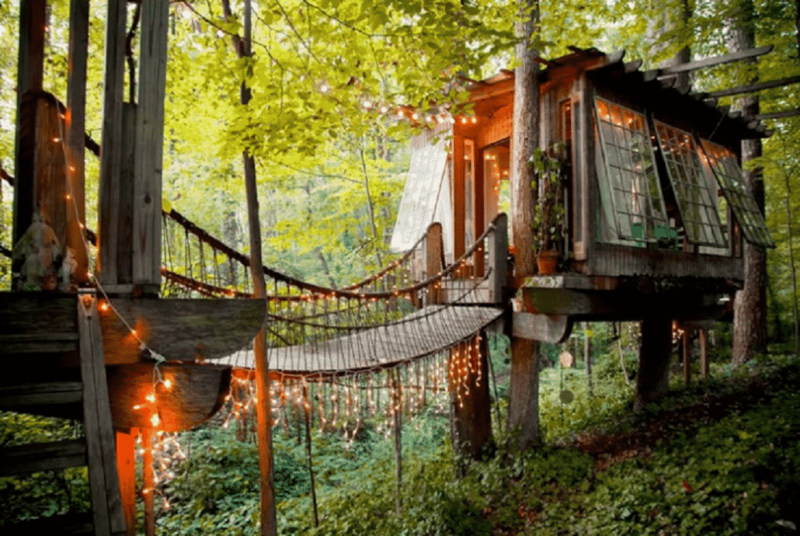 We hope that we’ve inspired you to think outside of the box and relive some of your childhood fantasies with these treehouses. You never know, you might be the next Joe Allen or Horace Burgess and decide to build your own!